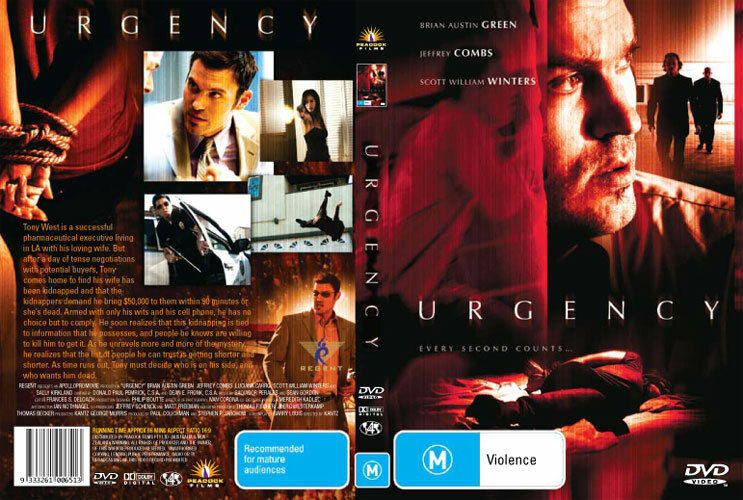 We reported before that Luciana’s new thriller, Urgency, (starring Brian Austin Green, Jeffrey Combs and Luciana Carro) will most likely be released in Australia in November. Now our friend lilylemony, who runs a blog about Jeffrey Combs, called The Combs Corner), did some research and shared the latest information with us on the fanboard. The movie will indeed be released in November (on November 18, to be exact) in Australia, but only for rental. Urgency will be available for buying in Australia on February 18, 2010. This is a bit longer than we had hoped for, but less than four months isn’t really that long, is it? In the meantime, you can check out the website of Urgency’s Australian distributor, Peacock Films, and watch the trailer there. Unfortunatley, there is still no information when this movie will be released in other parts of the word. Related link: Urgency page on the fansite.